Each compressor unit is a packaged assembly with all components factory piped and tested. 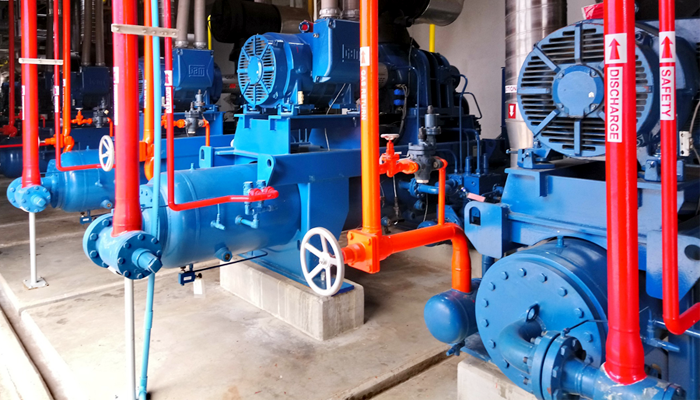 Oil cooling is achieved through the use of either liquid injection oil cooling or an external shell and tube oil cooler and automatic oil temperature regulating valve. 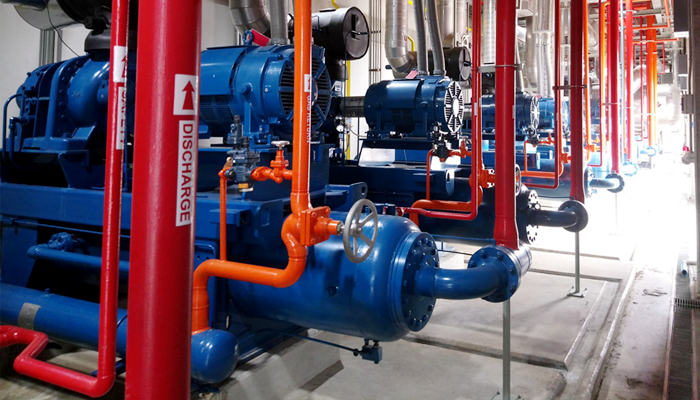 The unit includes an oil separator with dual relief valves, oil filter, microprocessor control panel, suction check valve, suction stop valve, discharge combination stop/check valve, and suction gas strainer, and initial. 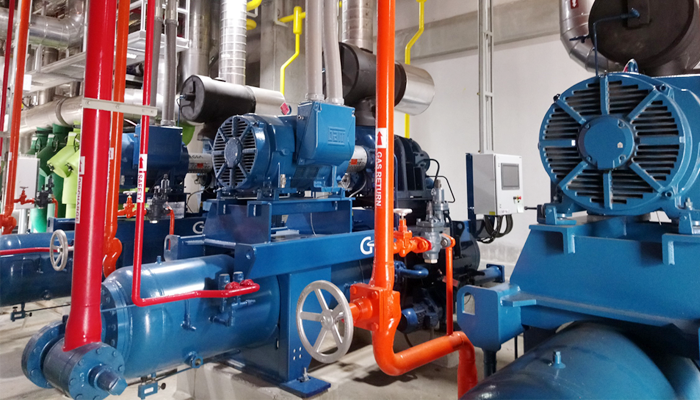 High Stage models 180GL-800GL are top-mounted compressors on a horizontal oil sepatator and high stage models 1025GL-1435GL are base-mounted compressors with a vertical oil separator arrangement. 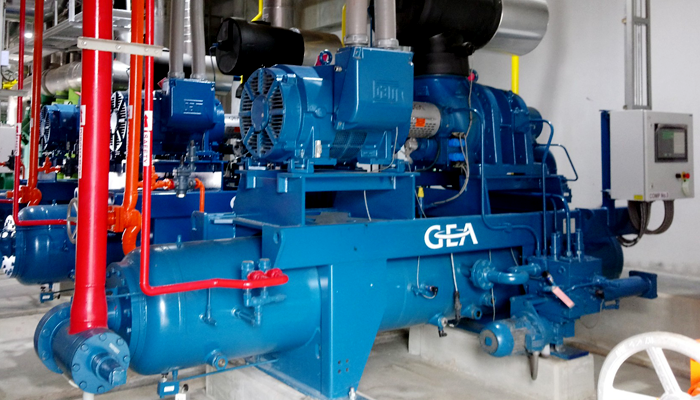 All Booster models are top-mounted compressors on a horizontal separator. *** SPECIFICATIONS SUBJECT OT CHANGE WITHOUT NOTICE. Compressor view shows graphical representation of the compressor and system components. Classic view shows gauges, meters, lamps and push button typical of an electro-mechanical panel. Provides 15 inches (380mm) diagonal LCD 1366 x 768 resolution, 32 bit color, Touch screen display.